is the interface id as set by the VSCP daemon and the last two digits are the nickname id for a connected node. we are in trouble here as the action (store measurement value in variable) will not be triggered. The “problem” is solved by changing the <guid> tag from an all zero value (or not defined) to a valid GUID. If not defined or all zero the VSCP daemon will assign a GUID as of above. But if a valid GUID is set this value will always be used. as I have some assigned GUIDs. The two LSB’s is still used for the nicknames. After that change the “problem” is no more and I can filter on the new GUID instead which alway will be the same. if you like brute force. The boot process is described here. 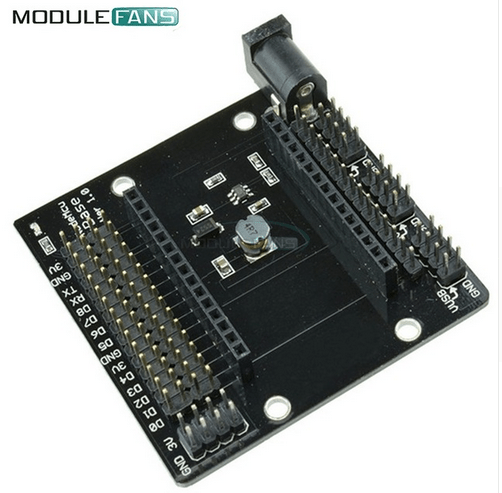 Switching from a mode to another requires to reset the module while the pin states listed is set. With the nodemcu board and esptool flash uploader all this is handle automatically but if you have another board you must handle this yourself. 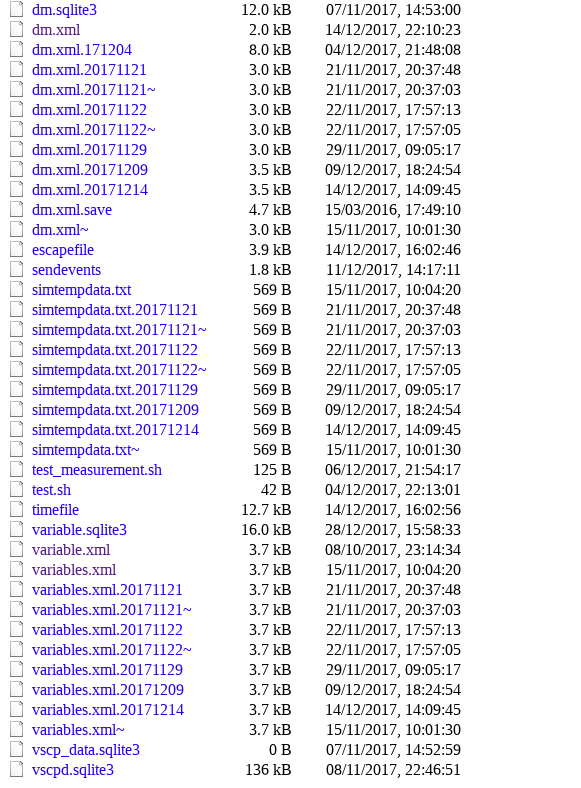 so change paths above for your installation folders. to build it. Remember that the paths above must have been set. You may get some warnings. No problem. No need to press any buttons during flashing. It is handled automatically by the USB DTR circuitry. Now we are ready to do some real work for our VSCP system with the ESP8266. If you rather prefer Arduino this howto may be the one you should go for instead of this one. Life is much simpler in the Arduino world. But the degrees of freedom is better if you do it all by yourself. The penalty for freedom is more problems of course. As always. In this howto we will build a simple VSCP level II node that with the help of a PIR motion sensor detects motion and sens this as a VSCP event wireless to a VSCP daemon. We use the famous ESP8266 for this and work in the even more famous Arduino environment. 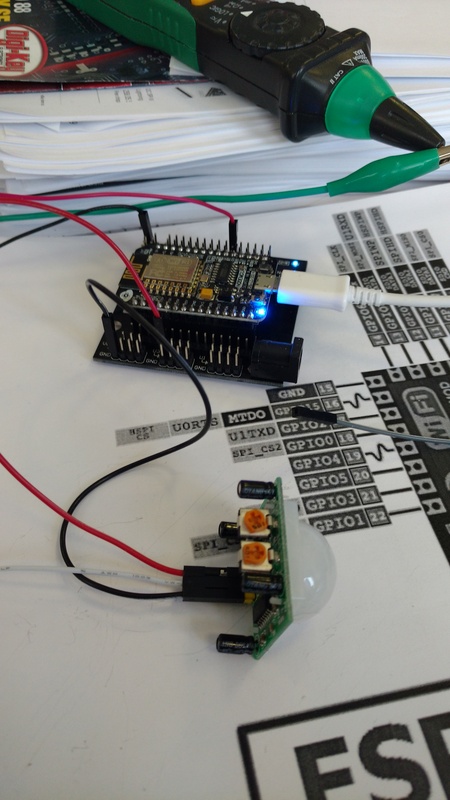 The ESP8266 comes in many flavors but a convenient form factor is the NodeMCU board. You can buy it on Aliexpress or Ebay at a low-cost (USD 2.2). There is also a baseboard available for the NodeMCU and I use it as it is convenient when working with a new design. It to is available on Aliexpress and Ebay at a low-cost (USD 1.54). 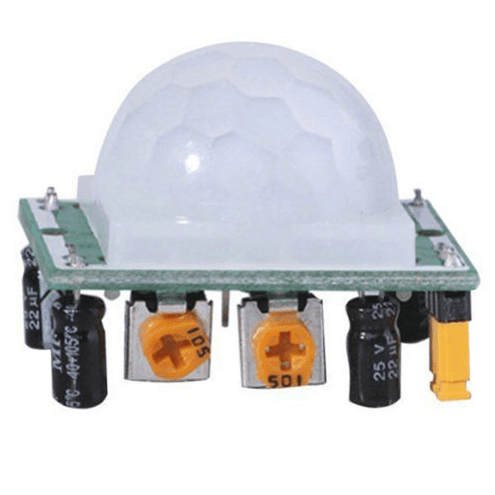 The last item you need is the PIR sensor, they to are available at low-cost. I bought mine from Ebay (USD 0.99). 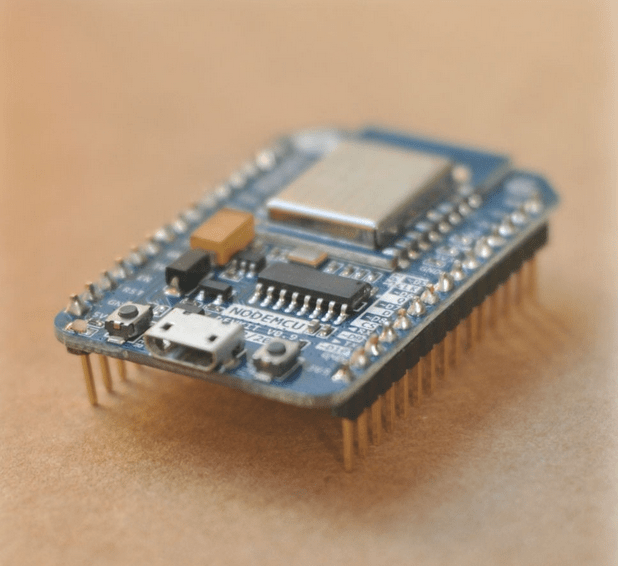 If you haven’t set up your Arduino IDE for work with the ESP8266 you need to do that now. Here is an excellent tutorial on how to do this. Make the blink example work before you move on. I find the Arduino IDE a bit crude to work with so I use Visual Studio Code instead. An excellent programming editor that works on all the major operation systems. I tend to use it more and more. But there are other options to such as Atom. Anyway instructions on how to get it working for Arduino development is here. Make sure to set the “output” tag to a valid location in the .vscode/arduino.json file otherwise upload will be VERY slow. 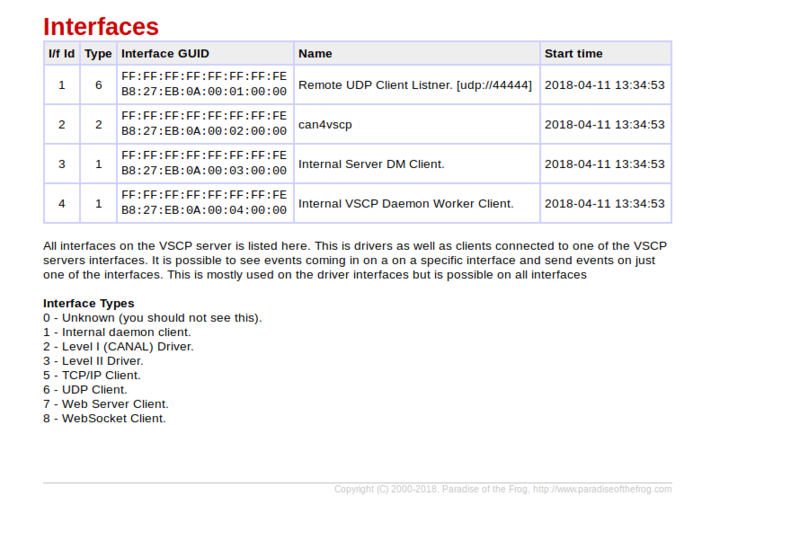 You also need a VSCP daemon/server running for this example. All info about it is here. The LED on D0 light up when a LOW is written to it. This is opposite to the PIR output. We take care of this in software. We implement a dump VSCP device here. This is a device that does not handle any of the register reads that “normal” VSCP requires and which don’t have a MDF file either. A dumb device has been 14 set in the header. We send two events. The heartbeat event (CLASS1.INFORMATION, Type=9) every minute. This event is recommended for all nodes as it is used for node discovery and detection. The other event we send is the detect event (CLASS1.INFORMATION, Type=49 detect) when an object is detected. With the event in the VSCP daemon it is easy to add a DM row that for instance light up the lamps in a room. You can also use the rest or the websocket interface to do give visual feedback. We will follow-up this howto with a post where we use the Expressif SDK instead of the Arduino and use a plain ESP8266 board. But also a ost where we implement a full Level II node that have registers and a MDF and show the advantage we get with a node like that over a dumb one. An alternative wifi lib is documented here. In previous versions of VSCP whenever you did an install all configuration files were replaced with the latest version. This is not true anymore. Now the new version is instead written as a copy with the date of the install appended to it. So if you after a “make install” or a “dpkg -i vscpd” want the latest configs you have to copy the backup to the actual config file and restart the VSCP server. Also note that the web sample code is not installed in the install/update process no more. The process to get this subsystem installed with be described later. Timers. One can wonder what they do in the decision matrix? They even have their own events defined in the CLASS2.VSCP class. First let us define what a VSCP timer is. A VSCP timer is a free running 32-bit timer with millisecond resolution. That is they can hold 0xffffffff = 4294967295 milliseconds which mens they will roll over in about 50 days. Here a timer with id = 1 is created. The timer has an initial time set to 10 seconds. When this timer elapses it will set the variable //timer1flag// to true. The last argument is the reload flag. Here it is set to true so when the time has elapsed the initial value will be loaded again and the timer will start again. In the example above we could have added “;4” at the end of the parameter which would have the effect that the reload would stop after four runs. Default is thus forever. When the timer is started a CLASS2.VSCPD, Type = 25 (0x0019) Timer started event is generated. When the ten seconds has gone and the timer elapses the CLASS2.VSCPD, Type = 29 (0x001D) Timer Elapsed event is generated. We can use either one of these two generated events to do any action periodically like this. Here some info is just written to a file when the timer is started and when it elapses. But if you want to send an event periodically instead or do other actions this is the way to do it. You don’t have to give a variable nor a reload flag when you start a timer. If no variable is given (use ;;) it is just ignored. The reload value will be set to false as default value, that is the timer will run only once. As the last parameter you can set the number of times the timer should reload before it should stop. The full documentation is here and here. Send the event you expect a reply event from another node. In the timer started event send the event you want to send. When/If the expected reply is received pause the timer. Now if the timer the timer stopped event is detected the reply wait timeout has expired so do timeout handling there by sending another local event or CLASS1.ERROR, Type = 32 Time out. Can be used for much more of course. Just useful and simple.